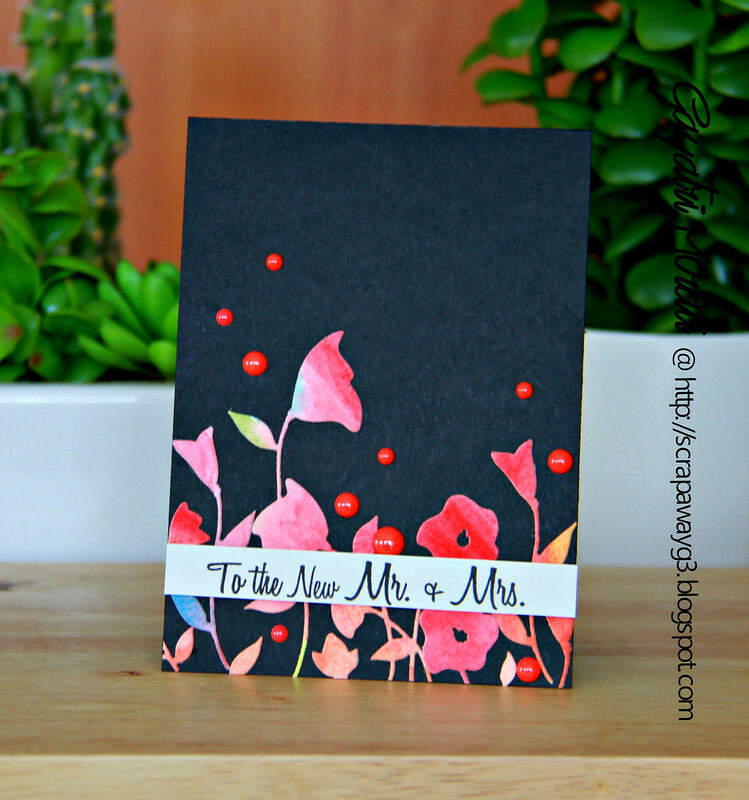 I have been playing with Penny Black’s new dies over the weekend. I love them especially the flower dies. They are so versatile. Watercolouring them was so addictive that I made three cards. Today I am sharing the one of the cards. So I simply adhered the watercoloured die cut on to the black card base toward the bottom. Then stamped the sentiment from You & Me stamp set also from Penny Black on a strip grey cardstock and adhered using foam adhesives. Finally I added some glossy red enamel dots to accent the reds on the die cuts. 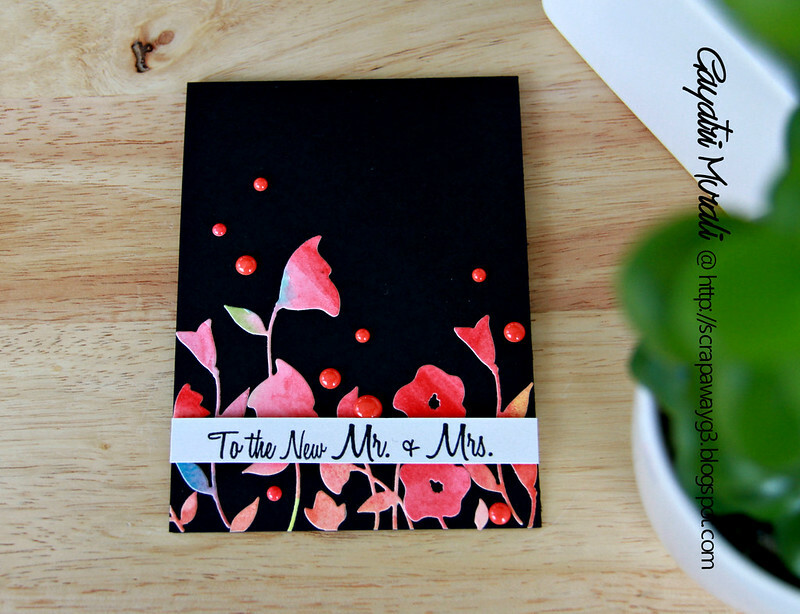 I simply love the high contrast on this card and the variation of colours on the die cut. Wonderful card, Gayatri! 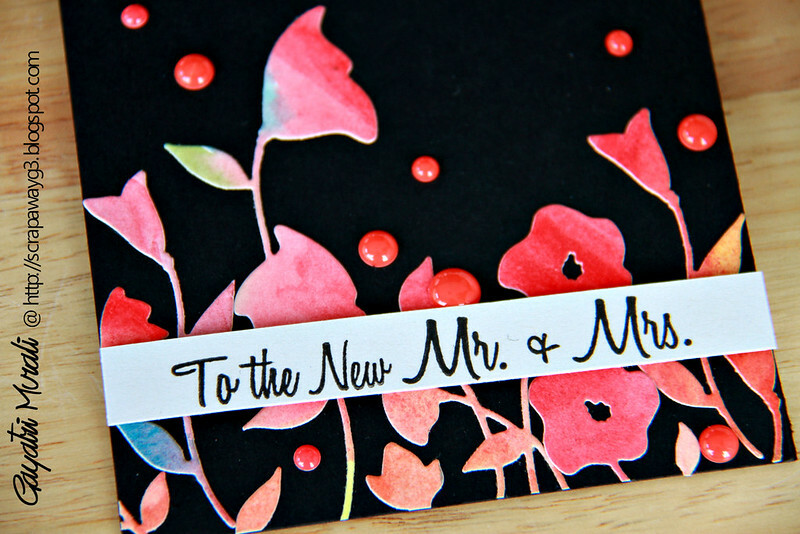 So elegant bright die cut on a black background! Those blooms radiate color against that gorgeous black! WOW – the colours against the black are amazing Gayatri. Really lovely card. Nice job! I don't use black much except around Halloween, but this is stunning! Love the vibrant colors Gayatri.